The mission of the Pacific County Emergency Management Agency is to coordinate the four phases of emergency management - mitigation, preparedness, response, and recovery, to protect the people, property, and environment of Pacific County. 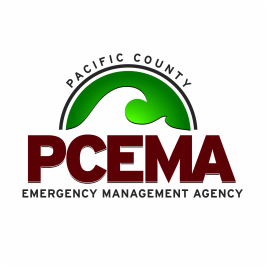 ​The Pacific County Emergency Management Agency was formed as a result of federal mandate in 1986, through a multi-jurisdictional agreement between Pacific County and the cities of Ilwaco, Long Beach, South Bend, and Raymond. The original concept continues today with an emergency management council comprised of the County Commissioners, the Mayor of each municipality, and the Pacific County Sheriff attending open quarterly meetings that govern the work of the agency. The agency is operated by a full-time Director who oversees about 12 volunteers and an EOC staff of up to 20 from around the county and other entities based upon the needs of the event. Meeting dates/times are subject to change and it is best to call the PCEMA office to verify the schedule. The above twitter accounts (excludes PCEOCNews) are personal accounts. 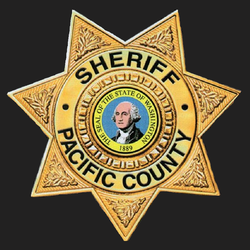 While most of the content is emergency management related, the views expressed in these accounts do not necessarily reflect the views of the Pacific County Emergency Management Agency or the Pacific County Sheriff's Office.